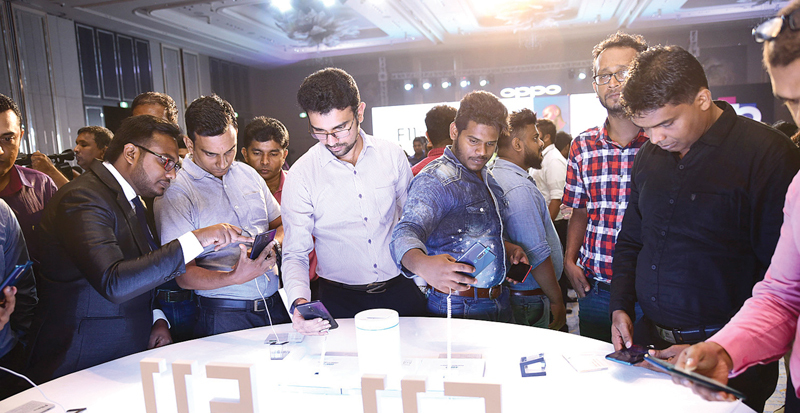 The official launch of OPPO’s latest flagship model, OPPO F11 Pro took take place in Sri Lanka recently with the participation of two youth icons in the country –Sanuka Wickramasinghe and Sachini Nipunsala. Since inception, the OPPO brand has captured the hearts of youth worldwide with great strides made in mobile photography, in particular ‘Selfies’. 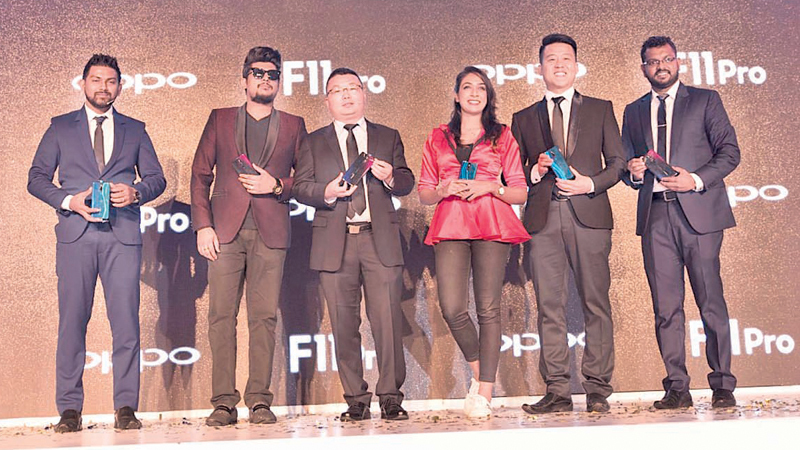 OPPO has always enjoyed great relationship with numerous celebrities such as Hrithik Roshan, Sonam Kappor, Yuvraj Singh, Deepika Padukone and Sidharth Malhotra who have been associated with the brand apart from style icons such as Lily Aldridge and Candice Swanepoel who have also been involved with OPPO. ‘Selfie’ photography was not only popular among customers but enriched OPPO’s legacy and standing as the ultimate “Selfie Expert”. OPPO continued to innovate, releasing the stunning F9, integrating the first dual rear camera to unveil an excellent depth of field effect. Building on the ground breaking dual rear camera and portrait technology of F9 Pro, OPPO’s F11 series elevate the F series to a higher level, upgrading the mobile phones and OPPO itself from “Selfie Expert” to “Brilliant Portrait”.F11 and F11 Pro are also powered by ultra-night mode and Dazzle color mode, which is, OPPO’s system-level optimization solution specially designed for smartphone photography. OPPO F11 Pro’s magnificent panoramic screen has been designed to hide the front camera, making it “notchless” and creating a stunning full screen. In addition to the above features, the OPPO F11 series also seek to improve the overall user experience and solve common smartphone problems such as over-heat, lag, and battery life. the OPPO F11 PRO has ColorOS 6 that helps in providing special optimization for popular games. It also embodies borderless aesthetics that adds an edge to the design element of the smartphone. Moreover, OPPO cloud will also help users to store upto 5G GB free space for data storage.